Change your mind. Change your body. Anyone can shed pounds by reducing calories and increasing physical activity -- and almost any diet and exercise plan will work. But permanent weight loss requires a shift in focus from the body to the mind. By reprogramming the way you think, you can change the way you behave and become the slim, vital person you know you can be. Permanent Weight Loss provides a remarkable set of tools that will enable you to take charge of your mind and ultimately your body. 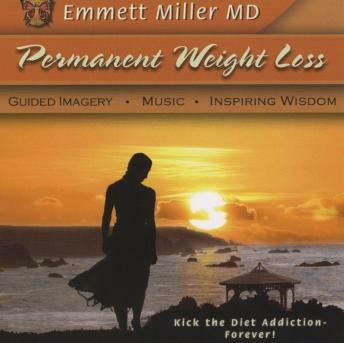 Through the powerful techniques of deep relaxation and guided imagery, Dr. Miller helps you to balance and control the thoughts and emotions that contributed to the excess weight. You'll learn to let go of the naive notion that something you do to your body - some magic pill or clever dietary trick or supplement - will put an end to your struggle. You'll learn that the answer lies within and that you can call upon this inner power to make the changes you want.